In Philippine industry, low labor costs beat high technology most of the time. However, in situations that require keeping downtime to an absolute minimum, solutions using high technology are faster, more efficient and ultimately more cost effective. This is especially true for pipe maintenance. For commercial establishments, a clogged drainage system is an extremely disruptive event that requires immediate attention. For most businesses with "moving parts," a clogged drainage system requires a total shutdown until the problem is resolved, and every minute of shutdown means loss in revenue. De-clogging a commercial drain conventionally requires hours of hard labor. Traditionally-equipped plumbing contractors are literally groping in the dark when dealing with clogged drainage pipes, because most of the time, they can't actually see the obstruction they are dealing with. As pipes often run through walls and underground, extreme cases can involve having to smash through walls or floors. This can be avoided by using state-of-the-art pipe maintenance technologies, such as RIDGID® underground diagnostics, inspection, and locating tools. It is the only one of its kind that is readily available in the Philippines. The see, find, and solve capability it delivers is nothing short of a game changer in pipe maintenance. High tech, rugged and flexible camera systems can now be used to locate and definitively identify problems through visual confirmation. Thanks to high tech transmitters and receivers, appropriate solutions can be deployed with accuracy and certainty, that is simply impossible otherwise. That's why plumbing contractors using RIDGID technology have regular big-time clients. "A big part of why we're good at what we do is that we have RIDGID's tools and equipment to be able to tell whether it's just a maintenance issue or a collapsed pipe that we need to replace. If you do not have the right equipment you're second-guessing, you'll do it 5 or 6 times," shared plumbing and water restoration company Roto-Rooter Philippines CEO Mark Puyat. 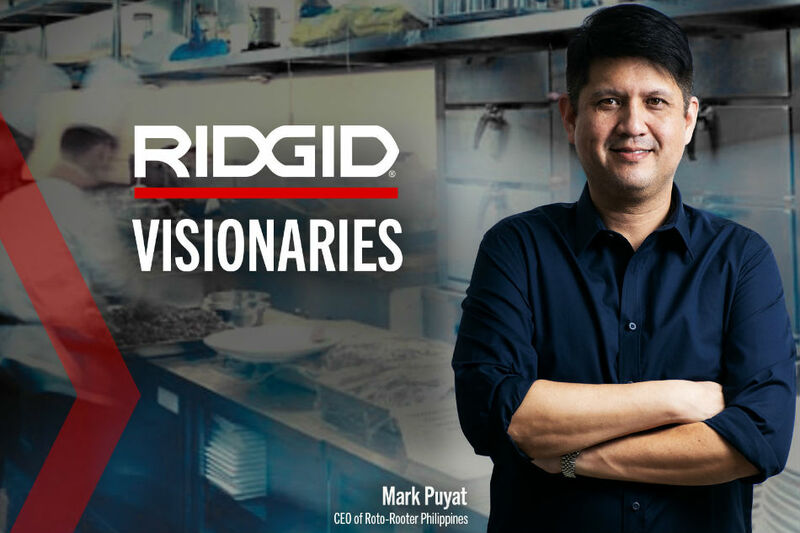 RIDGID's underground technologies and de-clogging tools are the most viable and cost-effective solutions for establishments that are by nature prone to clogging, yet can't afford any downtime. It is proof that while innovation might often seem costly, innovating persistently and intelligently will eventually lead to solutions that work better and ultimately even more cost-effectively. To schedule a free demo, call RIDGID at Tel No. (02) 214 6804, or email RIDGIDfareast@emerson.com. For more product information, visit www.RIDGID.com, or check out Facebook, Instagram, YouTube.